Driver: Must have a truck or van and a good back to pick up perishable food items from local markets, starting at 7:30 am. Two - three hours, you select the dates to work. Training provided and helper assigned if needed. Distributor: Sort food and fill grocery carts for clients, according to cards provided by Interviewers and directions from Supervisor. Monday, Wednesday, Friday, 8 am - 1 pm or split shift 8 am - 11 am or 11 am - 1 pm. Interviewer: Greet, talk with clients and updates records. 9:45 am - 1 pm shifts. Training provided for a Monday, Wednesday or Friday. Maintenance: On call for repairs of electrical, plumbing, carpentry, repairs and for general cleanup. 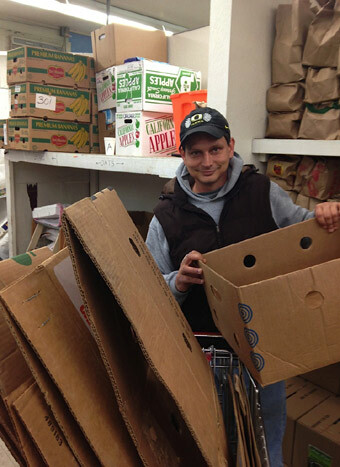 Packer: Sort donated food, bag oats/beans/rice and pack staples. Tuesdays and Thursdays from 7 am - 10 am. Experienced Event Planners: Take leadership role in organizing an event while working with the fundraising team. 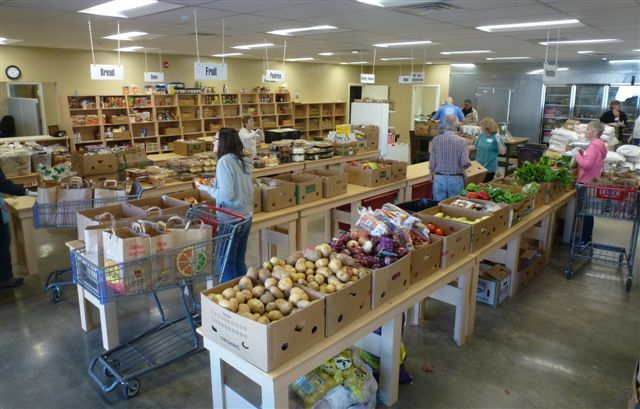 Volunteering at IFM is a great way to give of your time and skills. The time you spend as an IMF volunteer is a gift to a disabled individual, a single mom, or a senior in need of food. It is a gift that gives hope to individuals and families whose situation may be dire, who may not know where their next meal will come from. IFM volunteers are friendly and helpful. They are from all denominations, however, there is no requirement to belong to any church. All volunteers are part of a team effort to serve our community.